By Terry Soloman, May 17, 2018 in CONTESTS "FUN and FREE STUFF"
Guessing Contest for Forum Members! Here is the clad I have dug since May 1, 2018. 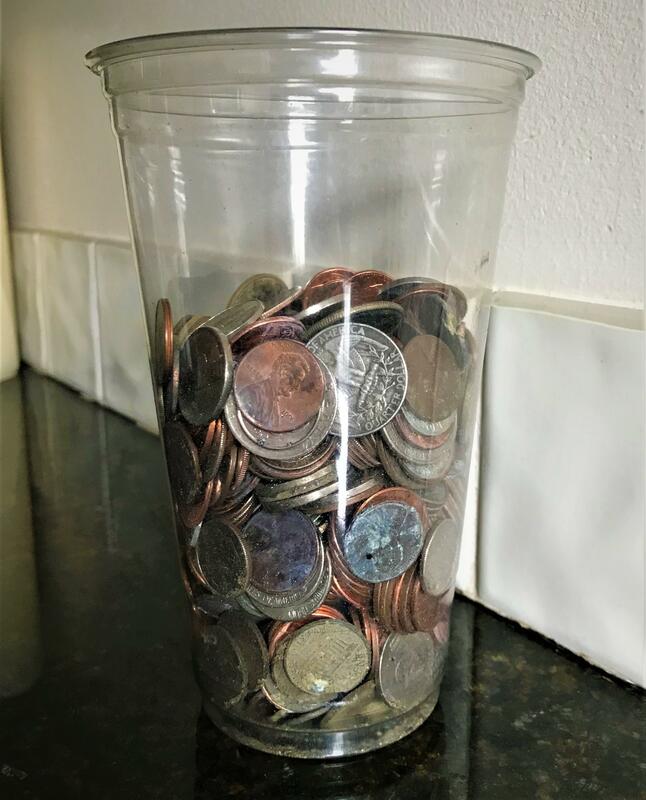 This contest is not to guess the TOTAL, but to guess how many different coins are in the cup (how many pennies, how many nickels, how many dimes, and how many quarters. Object: Guess the total number of Pennies – Nickels – Dimes – Quarters in the cup. The member that comes the closest to the actual number of each Wins! In the unlikely event of a tie, both members will win! Prizes for First, Second, and Third closest guesses. The winner will be notified here on the Forum, and through Personal Message. 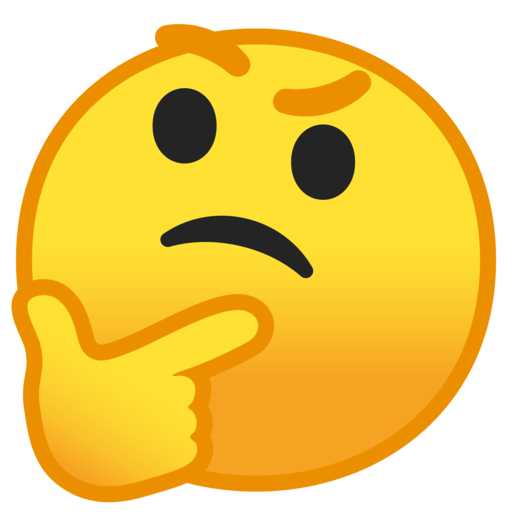 Why am I doing this? Because it’s fun. As always, the cash in the cup will be Coinstar counted, and the cash sent to Bill, to help support our great forum - Good Luck!! 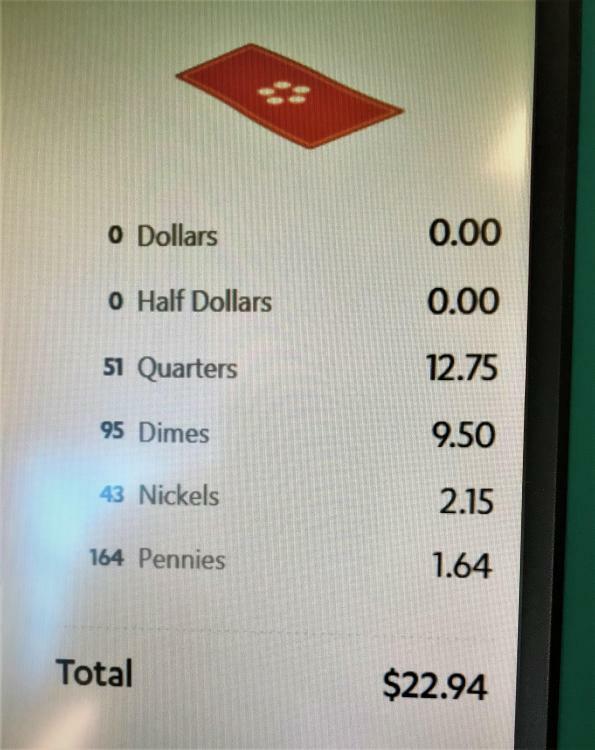 52 quarters, 45 nickles, 75 dimes and 135 pennies. Enough to cross the river Styx and get a cup of Joe at Achilles Last Stand. 28 quarters , 97 pennies , 31 nickles and 41 dimes. Could you at least dump them out on the table and spread them, so we could get a better idea of what is there?? Jeez haha. Thanks for the fun Terry. I would prefer he dumping them out and then stacking them in stacks of 10, and in rolls of 5! Let's try 12 quarters,32dimes,34nickles,and 90 pennies. Thanks. Are you kidding me??? I never win anything haha. Thanks Terry. Congrats to Saul and AZMark. Congrats Dan, and to Saul and AZMark too. Congratulations, AZMark and Nugget108. Thanks for a bit of fun, Mr. Soloman. I received a nice 1953 quarter in the mail yesterday. Gracias, Mr. Soloman. It still saddens me a bit to be reminded that our coins were once valuable little items, unlike today's junk metal pocket change. It's always a pleasure to feel the heft of an old coin, and to give it a flip to hear that nice, clean, clear silver ring. Hey Terry, finally picked up the mail. Nice 1923 dime. Thanks a lot bud.